Children are very welcome as patients at Shipston Dental Practice – we are dedicated to providing quality professional dental care for all the family. We feel we meet the highest standards of dental care and are determined that our younger patients are looked after exceptionally well. All our dentists have children of their own and as parents we are fully aware of the special approach children’s dentistry needs. 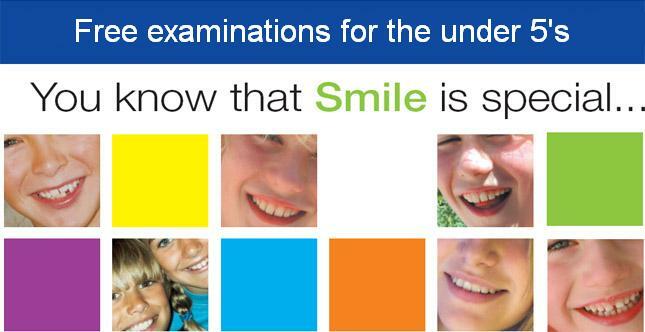 Our aim is to prepare your child to enter adulthood with a positive attitude towards dental health. Tooth decay can and does start as soon as teeth appear – the good news is that it is totally preventable. So, what do we do that’s special? In order to appreciate the difference you need to come and see for yourself. We are passionate about ensuring our younger patients receive the type of dental care we provide for our own families. One of our dentists, Carrie Preston, has a long standing interest in Children’s Dentistry and has worked as a clinical assistant with the Orthodontic consultants at Cheltenham General Hospital for many years. She completed the Eastman Dental Institute’s year long course to achieve the UCL Certificate in Paediatric Dentistry and has also worked under the team of consultants on the Paediatric Department at Birmingham Dental Hospital. At each examination we carry out a thorough check of teeth, gums and other soft tissues for evidence of dental disease and normal development. This process includes full orthodontic screening and x-rays when appropriate. With this information we carry out a dental health assessment and provide an examination report and personalised preventative care plan. At their first visit all our new child patients receive our Dental Health Folder with individual oral health advice and written examination report. We ask that a person with legal parental responsibility for the child completes a Medical History form and attends with a child under 16. At the earliest stage possible we discuss the nature and costs of care involved with this confirmed in writing. Discounts are available for children within a family attending as a group together. We book the length of appointments for all children to ensure they receive the attention we would like our own children to receive and we continue to offer regular 6 monthly checks. Some children at certain stages of development benefit from more regular care and we can tailor this to your child’s specific needs. Where possible we aim to offer convenient out of school appointments – before-school, after-school, lunchtime, school holiday and evening appointments are available. Our hygienists Merryn and Julie, in addition to treating and preventing gum disease in adults, are also assisting with our prevention strategies for children. This includes fissure sealants (protection for molars against decay), fluoride treatments, teaching correct toothbrushing technique and providing custom made sports gum shields. Should your child require dental treatment we aim to provide this to highest standards in a relaxed, calm and friendly environment. Full explanation will be given to you and your child and every effort made to ensure the experience is as positive as possible.